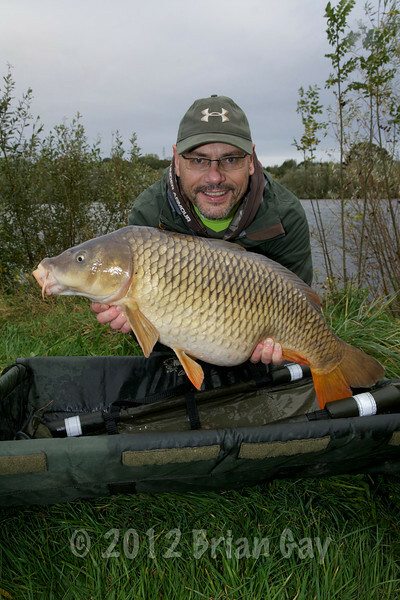 Brian Gay holds an 18 lb 12 oz common that fell to solid bag tactics at 80 yards with a 14 mm Mainline Cell boilie tipped with pink buoyant Drennan corn. Helicopter rig, 3 oz pear lead Fox bag trace size 8 hook. Sutton Bingham reservoir.